Offers virtual en-suite facilities nearly anywhere in the home. The Snowdon Shower Toilet is customisable shower cubicle that features a WC. Built to your specification, you can include various features such as a roof with lighting, extraction ventilation, a hand wash basin, electric or mixer shower equipment and various grab rails. The Snowdon shower toilet cubicle is based on choice of shower tray. The first type (Slimline 35) is an ultralow profile model that presents a very low step in height. The tray can be rebated into the floor to offer level access. The second type (Mendip) is a 90mm high model that permits the waste to run above floor level. A higher step in, but useful if you can't or don't want to run pipework in or under the floor level. 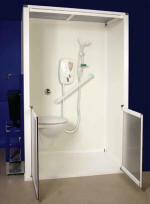 Both tray types have optional ramps available to facilitate wheelchair access. Cubicle sizes begin as small as 1250 x 710 so the Snowdon Shower Toilet Cubicle is a super solution where space is limited or to replace a standard bath. Choose your half-height door type. Either a pair of single panel doors or a pair of bi-folding doors. The Snowdon shower toilet cubicle requires no tiling and can be installed quickly without the need for major alterations to your building. It can be moved or removed just as easily leaving little evidence it was ever there (a great bonus if requirements change). 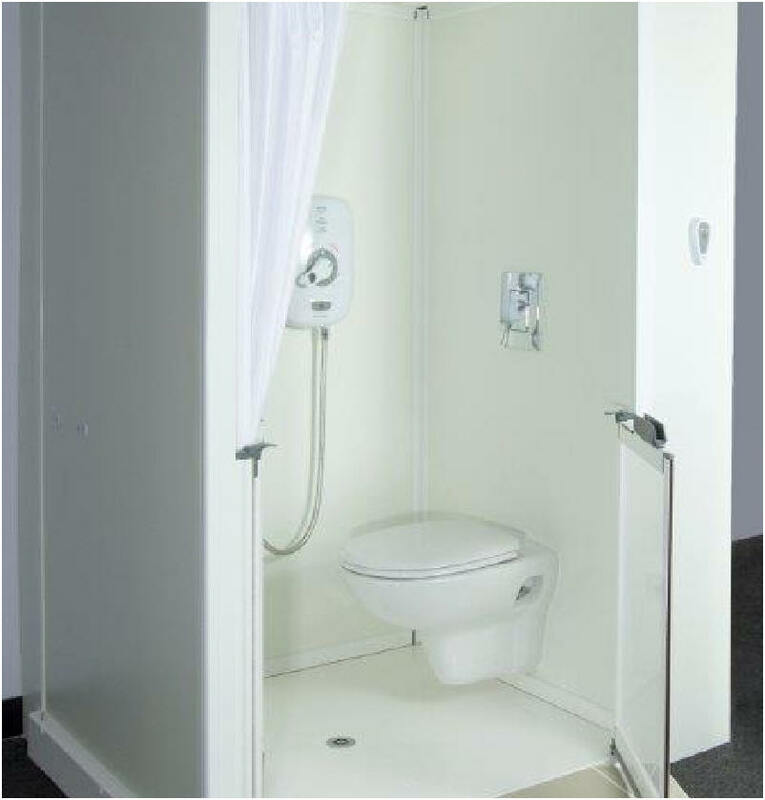 All-in-one shower toilet cubicles are a great idea when planning an en-suite or annex be it permanent or temporary for elderly relatives. Delivered to site in component form ready to be installed, the Snowdon shower toilet minimises disruption to you home and will uninstall leaving little evidence it was ever there. The Snowdon shower toilet will require 'water to and 'waste away' from the cubicle. 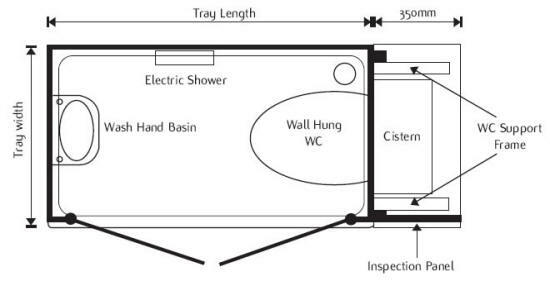 Personal preference and site conditions will determine the type of shower equipment, basin taps and waste services. Proximity to a soil stack will help you decide whether to use a small bore macerator. Whatever your needs there is a solution. Please don't hesitate to call if you'd like to discuss this aspect further. The Snowdon shower toilet cubicle incorporates a wall hung WC which is supported on a metal frame concealed behind the wall at one end of enclosure. The supporting framework also carries the hidden cistern, which in turn is concealed behind and accessed via an inspection panel. The support frame and cistern are typically hidden behind an inspection panel which is supplied. An additional 350mm should be allowed for addition in length when calculating . Waste from the shower toilet can be plumbed into existing 100mm soil pipework or through small bore pipe via a macerating pump - meaning the cubicle can be installed almost anywhere. Shown: Half height single panel pivot door option meeting in the centre with straight curtain rail and curtain, wall hung WC, support frame and concealed cistern. A wash hand basin and monobloc lever taps can be specified as options. Because of the many options available you may find it easier if we provide you with a quotation based on your required configuration. Simply specify your requirements and leave the rest to us. Quotations are entirely free and without obligation. If you would like help or further advice don't hesitate to call. Because the Snowdon Shower Toilet is built to your specification you can completely customise your shower toilet cubicle. Please give us a call if you would like to discuss your requirements further. The Impress shower enclosure qualifies for VAT Exemption. But do you? To find out more visit the section of our website that will explain. 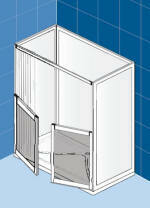 One of the lowest profile shower trays available measuring only 35mm high. The Slimline 35 shower tray is highly versatile. Capitalising on the benefit of a square edge the tray can be recessed into the floor for level access, or fitted with a shallow ramp around the exposed perimeter to facilitate wheelchair entry. 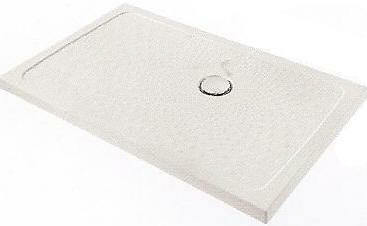 Click here to see full range of Slimline 35 shower trays. The Mendip tray has a slightly higher profile than the low level tray but this facilitates a waste pipe running above floor level. The 'top clean' waste trap is cleverly concealed and accessed via an inspection cover on the rear rim of the tray. Ramp kits are available to facilitate wheelchair access. Has somebody offered you a Price Match? If so, it is highly unlikely you have been offered a product of a similar quality. 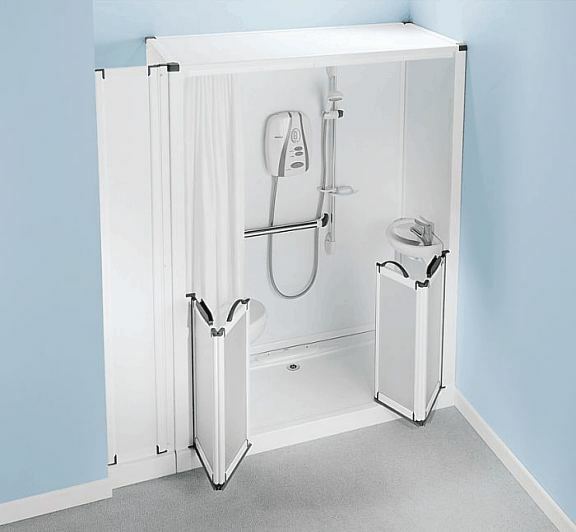 The Swift Fit range of premium shower enclosure pods stand second to none.